I'll have to look at those options. It was a very sad day when Art Griffin ceased production. I end up using a lot of Westerfield decals for my stuff. Dave, Yes, a sad day when Art went out of business. I've thought of having decals custom-made because I've gotten so I prefer them over dry transfers for the really small lettering. Because of the brief corporate relationship between the LV and P&R and frequent appearance of thier rolling stock on the LV system, I'd also like to do some early small P&R boxcars, but again, no lettering available to my knowledge. How have you dealt with this problem, Mr. Anthracite hauler? I will go back with additional dirtying-up powders at a later point in the construction. Great looking fleet in that last picture, Mike. Like the way your coal trestle is coming together. You have FAR more patience than I have to add all those NBW's!! Terrible loss. Especially for those of us getting to the TOC19 party quite late. Andre. Thank you. I�m sort of assessing what I have and what I need (want, I guess) for LV boxcars, so I lined them up by length. These are the 28� and 30� ones. You got me thinking about needing relatively more of these shorter cars. Patience? Not really. I install a dozen or so nbw�s then do something else for a while. Scenery. Running a train. Etc. These cars were used in the late 19th Century to haul tanbark from the forests to tanneries where the bark--usually hemlock--was used in tanning hides. The rack probably should be higher but I stumbled on dimensions after I had finished the car. Mike, no one will tan your hide for possibly making the rack a little low. It looks good. Nice car. Mike, your coal facility is already looking great, and once you complete it, I'm certain it will be a wonderful addition to your developing layout! Also your Bark car is something I've never seen modeled before, nice work on it. I like the bark car. It has a lot caricature and interest. The Coal station is stretching out nicely too. Is that it's intended placing? Greg, you�re right about these cars. I�ve only once seen them modeled. 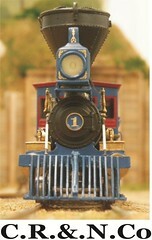 I don�t think many class 1 railroads had bark cars on their rosters. The LV had fifty of them. Bob, the coal ramp will be in a different spot near the backdrop; I wanted a sense of how it would look. It keeps me motivated. Like Greg, I've never seen one of those cars modeled before...heck I didn't even know they existed! Thank you. They are rare indeed. "Detailing at the hips, ridges and valleys provided added opportunity to ornament a slate roof. Hips and ridges can be fashioned out of slate according to various traditional schemes whereby the slates are cut and overlapped to produce a watertight joint of the desired artistic effect. Traditional slate ridge details are the saddle ridge, strip saddle ride and comb ridge, and for hips, the saddle hip, mitered hip Boston hip, and fantail hip. A more linear effect was achieved by covering the ridges and hips with flashing called "cresting" or "ridge roll" formed out of sheet metal, terra cotta, or even slate. Snow guards, snow boards, and various types of gutter and rake treatments also contributed to the character of historic slate roofs." I have seen slate on some pretty modest houses and businesses where it must have been more affordable than today and where a very robust roof was desired. I do not think a slate roof on a model of a marginal business or home is inappropriate; in fact a weathered slate roof on a rundown structure indicates how much the building has declined since its original days of glory. I use minimal weathering on my slate roofs because they would have been relatively new during the period I model. This has reminded me that my car shop still needs a ridge cap of some sort. Which method will I use? Thanks for posting the prototype information. I will consider all aspects of the different types when I get to that point on my building. I also like the bark car. Thank you and you�re welcome.